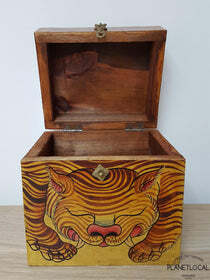 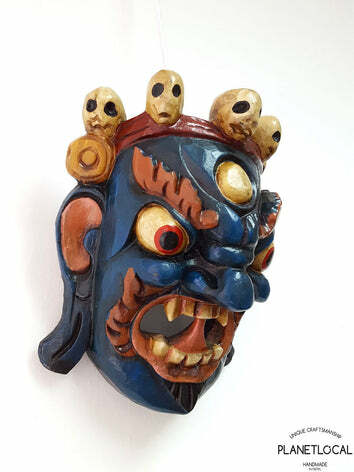 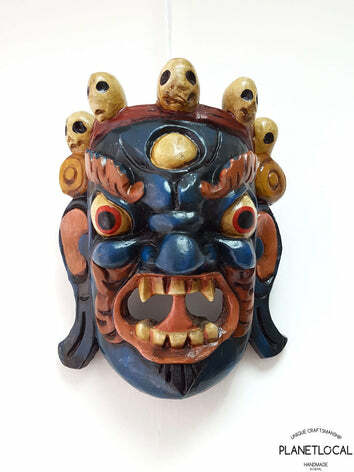 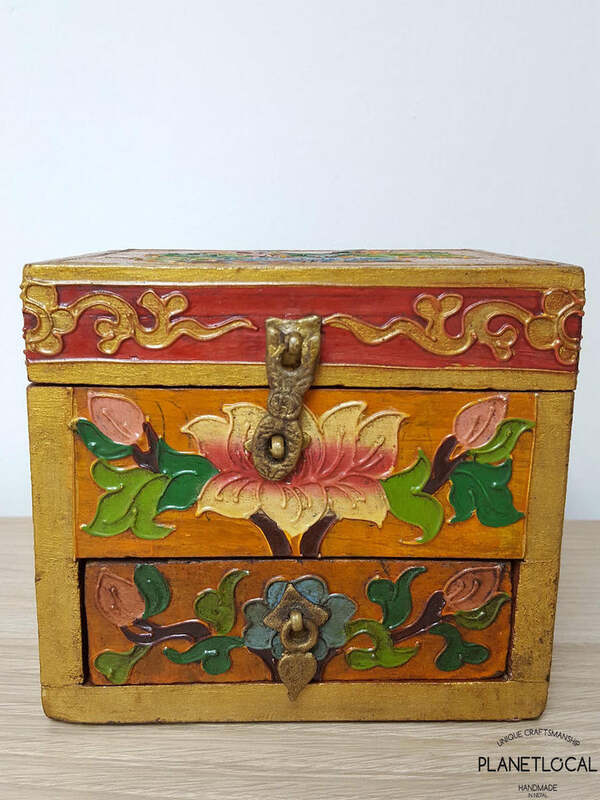 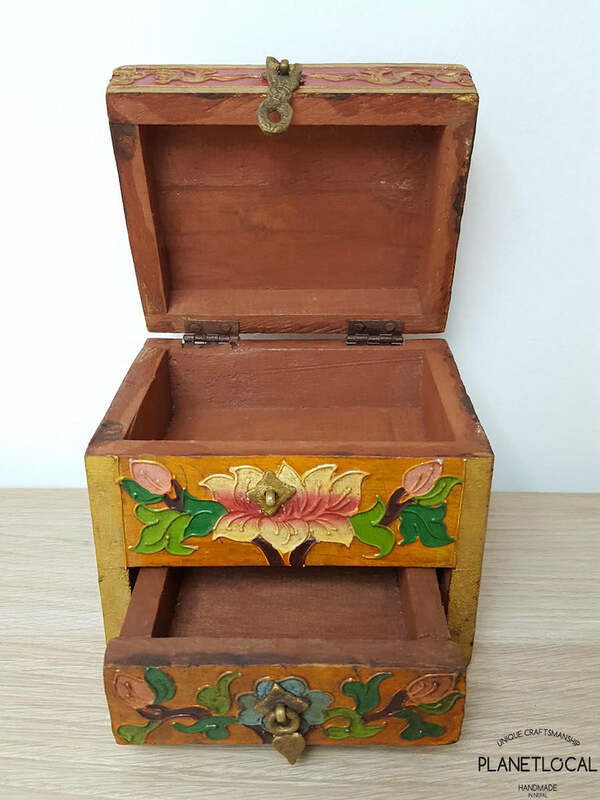 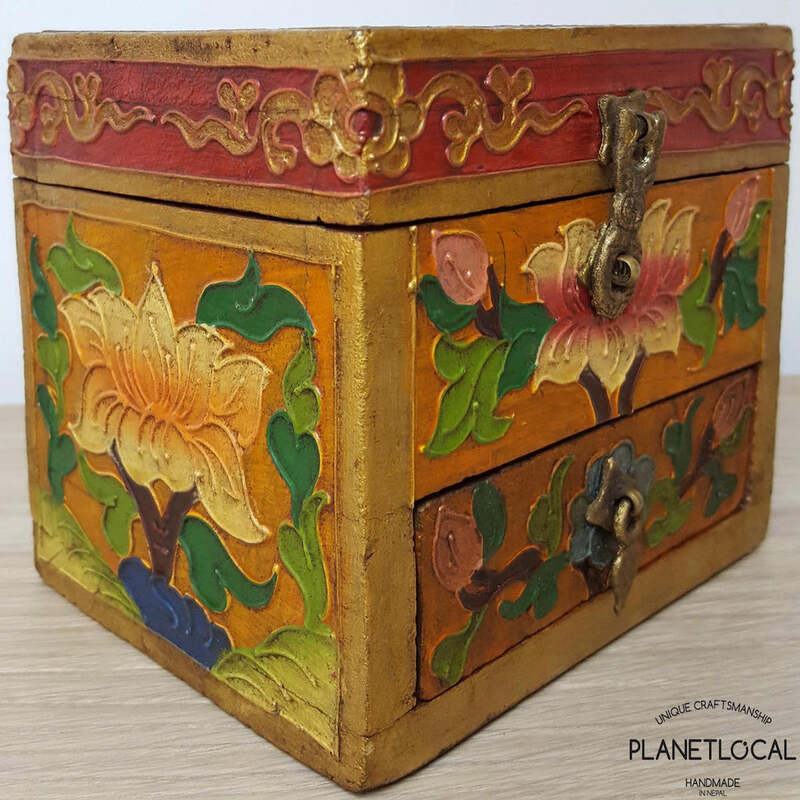 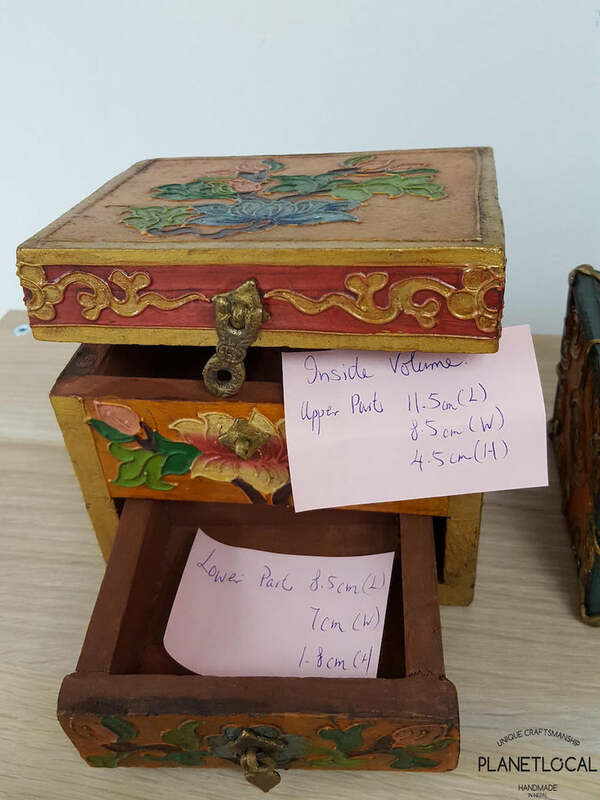 This beautifully handpainted wooden box is the work of local artisans in the outskirts of Kathmandu using ancient old technique of carving passed down over generations. 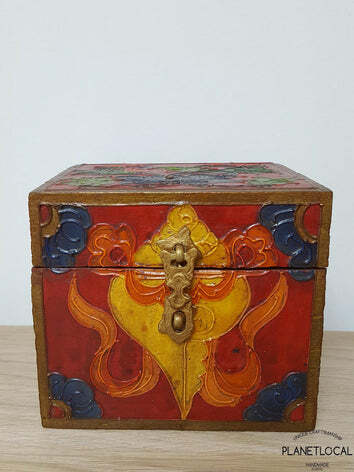 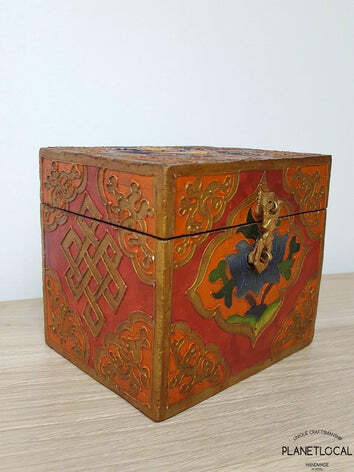 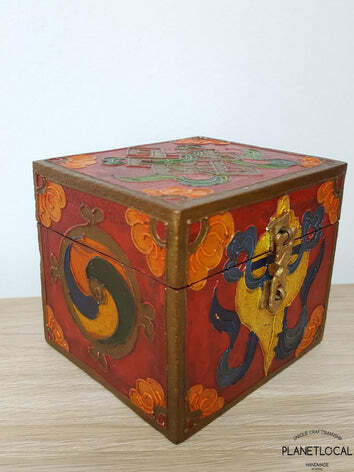 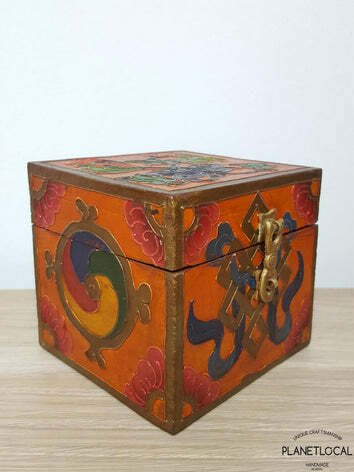 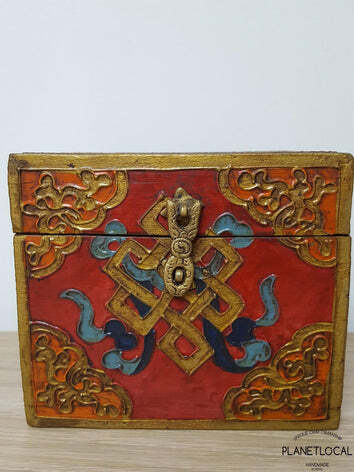 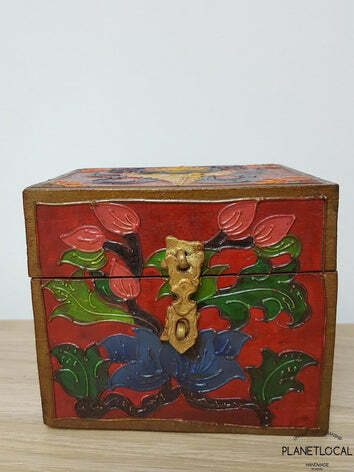 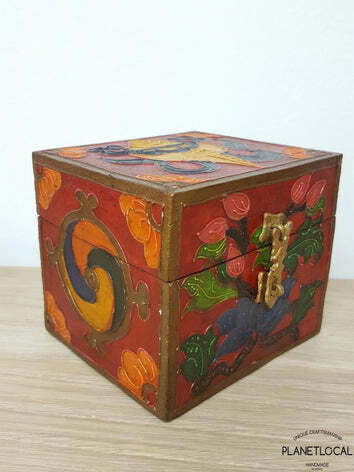 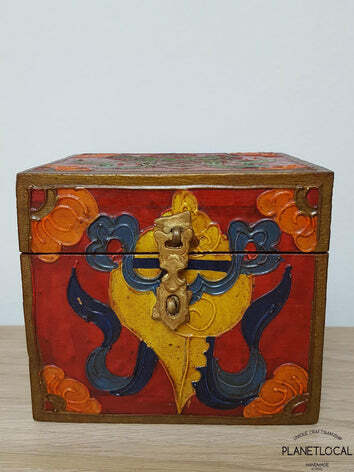 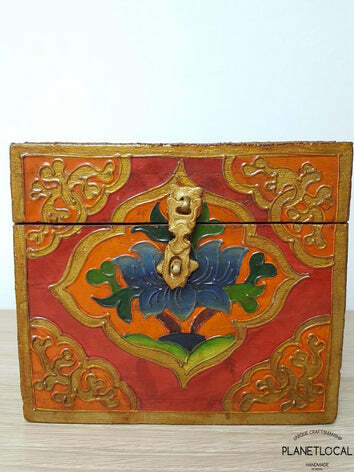 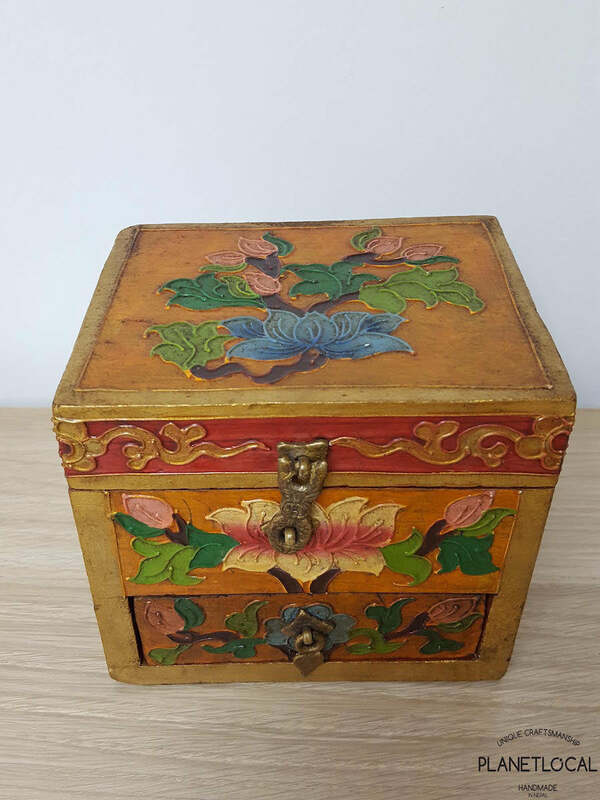 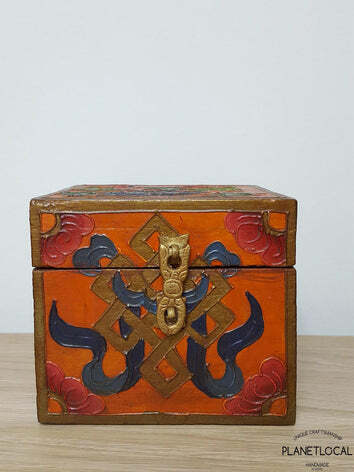 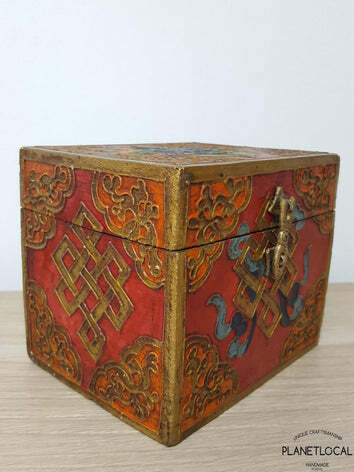 The box is handpainted on all four sides and the pattern are drawn from Buddhist philosophy. 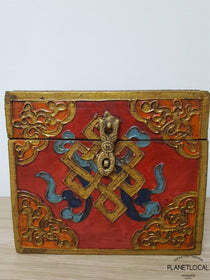 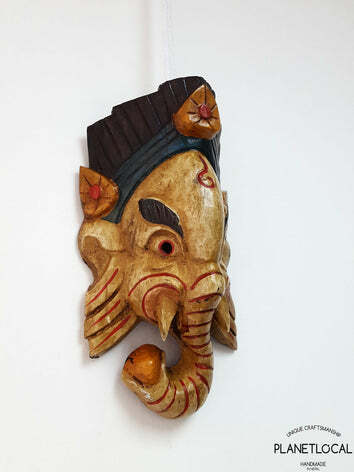 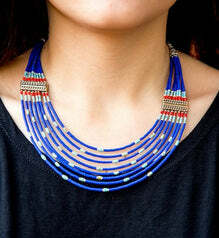 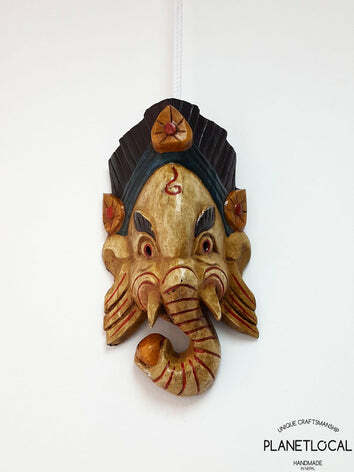 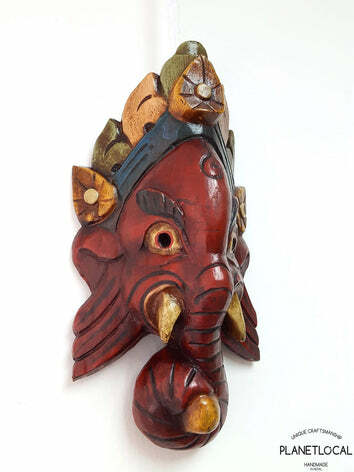 For example the frontal symbol is one of the 8 lucky symbols- the lotus. 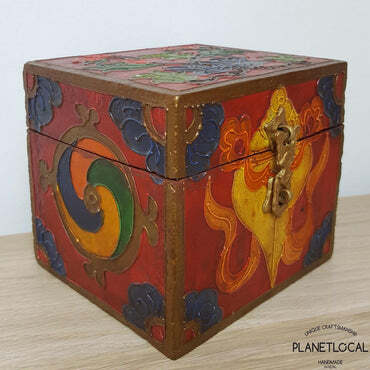 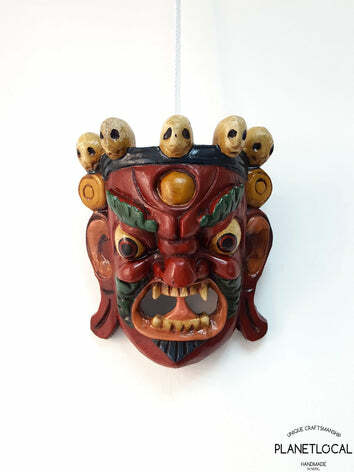 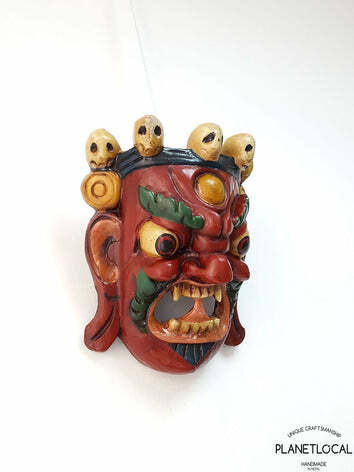 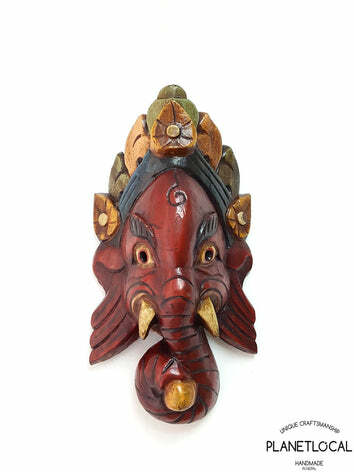 It symbolises the complete purification of the defilements of the body, speech and mind, and the full blossoming of wholesome deeds in blissful liberation.